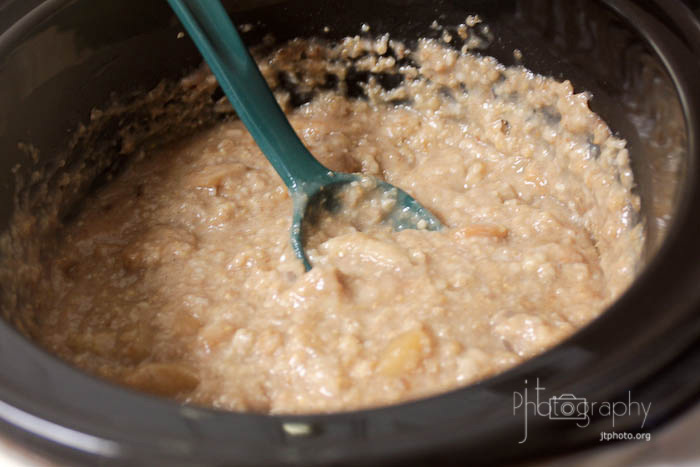 My kids love oatmeal, especially on chilly days. But really, they'll eat it whenever I make it. I have stopped buying the prepackaged oatmeal because it's just not something I need to spend money on and there are healthier options. 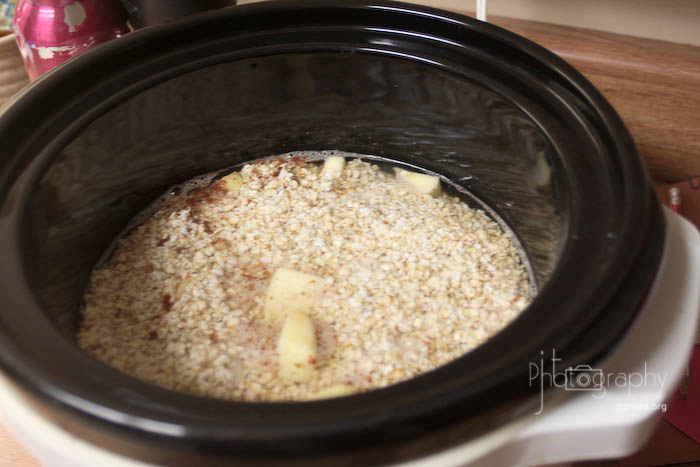 When I came across this pin on pinterest for crock-pot oatmeal I was super excited. I gave it a try and we all enjoyed it! I made the oatmeal again this past week since it was a little cooler and I wanted to have breakfast ready to eat in the morning with little work. So here's what I did. Peel, core and cut two apples. 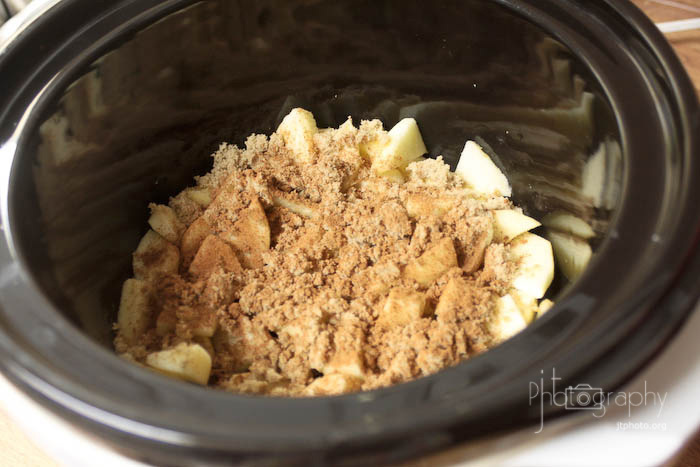 Add two cups of oatmeal on top of the cinnamon and apples. It's best to use steal cut oats or non-instant oats...but if all you have are instant oats you can still do it, the oatmeal will just be a little on the mushy side. 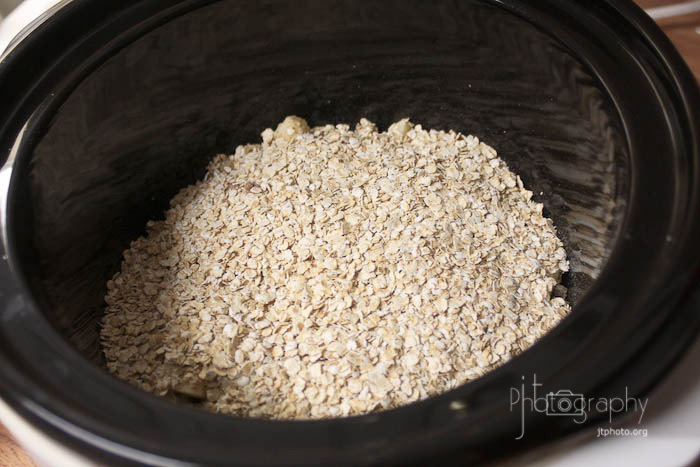 I used regular oats the first time I made this recipe and instant oats this time...regular oats are much better! Then add four cups of water...DO NOT Stir! 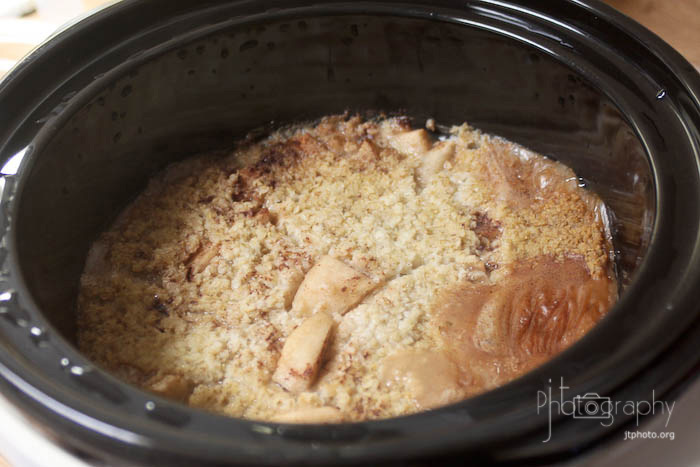 Turn your crock pot on low and let it cook overnight or 8 hours. This is what I woke up to in the morning and the kitchen smelled so good!! Give it a stir and enjoy!!! 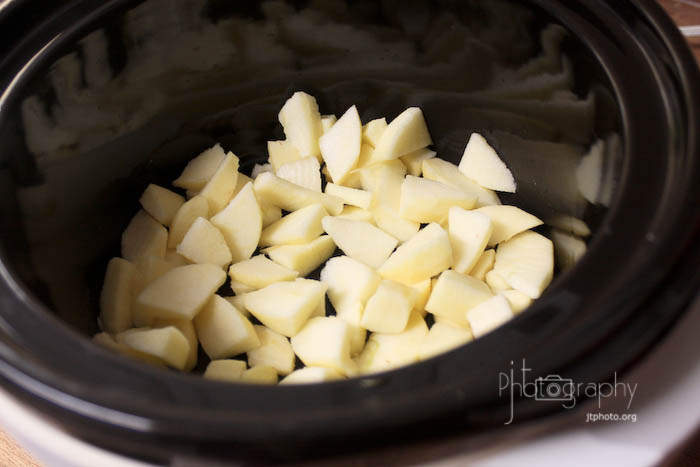 layer ingredients in crock pot starting with first listed ingredient. Do not stir. Cook on low for 8-10 hours. Stir and enjoy!! Some people like to add maple syrup of additional brown sugar...I like it just the way it is!! Oh I loooooooooove this, and I actually think I'm going to make it tomorrow. 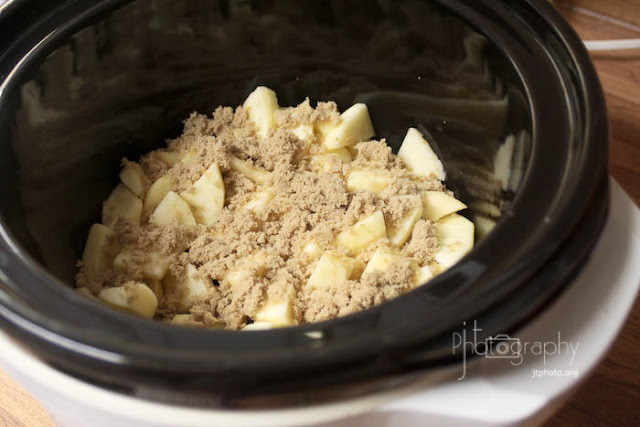 I had just pinned this recipe! Thanks for the review ~ trying it tonight! This looks so good! I will have to try it soon! Thanks for sharing Jamie!! Making this tonight only with strawberries. I made it this morning. I think 8hrs is a bit much, especially on high. It totally stuck to the sides, all crusty and almost burnt! Delicious, nontheless! Hi! Can you double the recipe??? I want to make it for this month's breakfast at work but I need a large amount? ?